Leading North West law firms joined forces to help a local hospice by raising a staggering £14,667 during their Wills Month. Queenscourt Hospice is a local charity that provides support for the people of West Lancs, Southport and Formby when they need it the most. By caring for patients with serious illnesses, they enable them to achieve the best possible quality of life at each new stage. This vital service is carried out both in the Hospice and in the patient’s own home through a comprehensive and integrated programme of support including the In-Patient Unit, Queenscourt Connect and Queenscourt at Home services. With less than a fifth of the funding needed to run Queenscourt coming from the NHS, it is crucial that campaigns like Make a Will month continue to raise essential funds. Birchall Blackburn Law along with 12 other local firms came together to offer the preparation and writing of a Will free of charge. 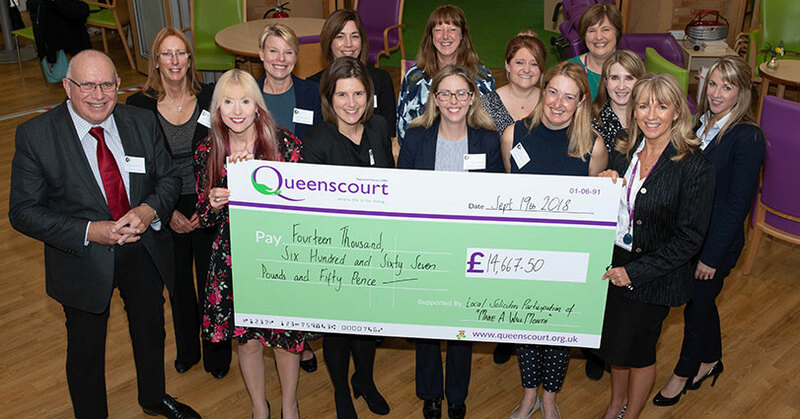 Those benefiting from the scheme were encouraged to donate the cost of making the Will to Queenscourt Hospice. The solicitors taking part included Birchall Blackburn Law, Autumn Years Law Limited, Hodge Halsall Solicitors, Kirwans Solicitors, Breens Solicitors, Mooney Everett Solicitors, Brighouse Wolff Solicitors, Napthens Solicitors, Maxwell Hodge Solicitors, Brighouses Solicitors, Steve Davies Solicitors, Cockshott Peck Lewis Solicitors and Whitfields Solicitors. Leanne Malseed of Birchall Blackburn Law based at 180 Cambridge Road said: “By taking part in Queenscourt’s campaign, we are able to support an extremely worthy cause that provides care and support for hundreds of people. We are delighted to have taken part again this year and to work alongside our colleagues at other local law firms. Queenscourt’s “Will Month” takes place in Spring every year. From the suggested donations of £90 for a basic single Will, £135 for a joint Will, and £40 to amend an existing Will Birchall Blackburn Law independently raised £1,735 from their client’s contributions alone.